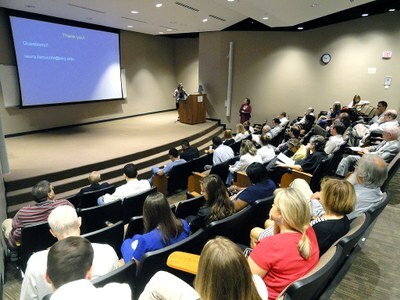 Check out video recordings of previous UofL Department of Medicine Grand Rounds lectures. 4/12/18-"Legal Considerations in Physician Use of Social Media" - Daniel F. Shay, Esq. 12/19/13 - "Membranous Nephropathy for the 21st Century Practitioner" - Dr. Laurence H. Beck Jr.
10/24/13 - "A Re-Evaluation of the Diagnosis and Classification of the Inflammatory Myopathies" - Dr. Charles F. Moore Jr.